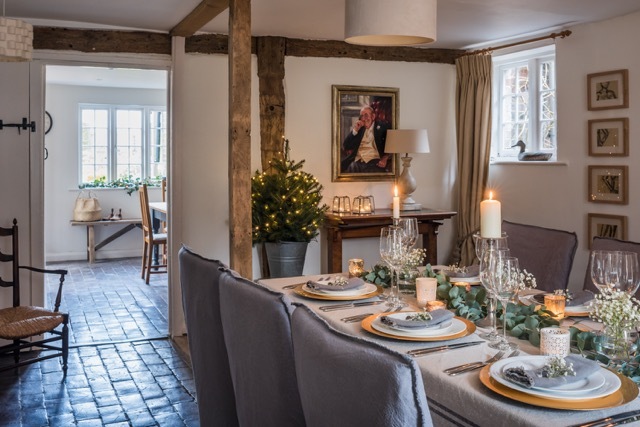 As Carrie Brixey lovingly decorates her idyllic Tudor cottage in the run up to Christmas, she fondly reflects on the almost overwhelming sense of history, emanating from every nook and cranny of this sensitively-renovated home. 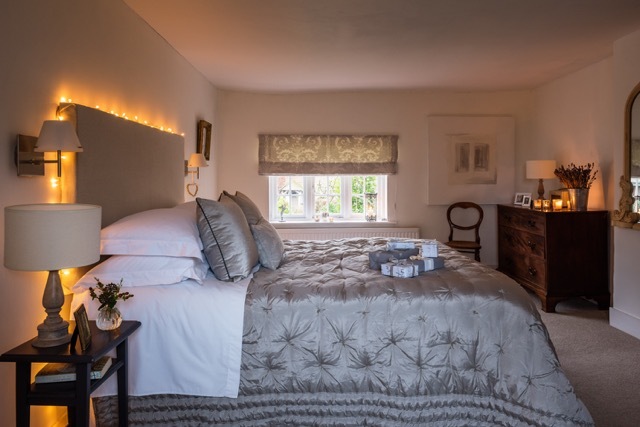 Carrie’s own tale began in May 2011, when she and her husband, David, moved into this quintessentially English cottage, after stumbling upon it by sheer accident. Although another house in this picturesque village, near Chichester in West Sussex, had originally piqued their interest, it was actually the stunning cottage next door that took their breath away. ‘At that time we weren’t seriously house-hunting but, when we drove past, I remember turning to David and commenting that it was the kind of property we could only ever dream of living in,’ Carrie confides. A year later, her heart skipped a beat when Carrie discovered the chocolate-box cottage was up for sale. 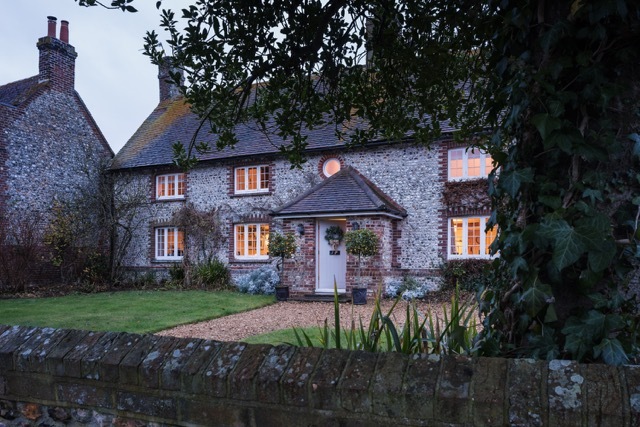 Eager to find out exactly what lay beyond the pretty brick-and-flint exterior, the couple excitedly set up a viewing and, having recognised the cottage’s vast potential, immediately put in an offer. The Brixeys were devastated, however, when unforeseen hiccups led to the sale of this Grade II-listed cottage falling through, not just once, but twice. Thankfully, the plucky pair kept clinging precariously to their dream and, against all odds, eventually managed to secure the sale. ‘When we moved in, we almost had to pinch ourselves,’ Carrie, who has a degree in Interior Architecture, adds. Determined to sympathetically enhance their home, while retaining its character and abundance of period features, this enthusiastic couple fully embraced their new roles as custodians of the historic property. ‘Since it was going to be a major project, we turned to Chichester-based architect Joanna Jefferson, who had remodelled our previous home,’ says Carrie. Plans were soon formulated to reposition the Aga, remove ceilings and knock through the previously cramped breakfast room, kitchen and study. This enabled the creation of an airy kitchen, complete with a vaulted ceiling, beams and an exposed flint wall, as well as a sociable breakfast room. When Listed Building Consent finally came through, and with builders hired, during the summer of 2013, the Brixeys embarked on a fascinating journey that found them travelling back in time, as little by little, the lives of the former occupants were uncovered. ‘During the renovation, amazing gems were unearthed, such as a personalised invitation for an Aga cookery course at Mary Berry’s home, and a 1923 edition of a novel by AEW Mason called ‘At the Villa Rose,’ Carrie says. Gradually, the cottage with its relaxed, modern country look, started taking shape. A smart new kitchen was fitted, black beams were grit-blasted, to expose the original wood, and the property was rewired, re-plastered and decorated. David, who has recently retired from his headteacher’s job, fully immersed himself in the restoration, tackling numerous projects. Particularly memorable was the moment he discovered a previously-hidden inglenook fireplace and, more recently, when he fitted a stunning new bathroom that’s on a par with one in any boutique hotel. Right from the start, Carrie, who juggles teaching with interior design, knew exactly the look she felt this cottage, on the edge of the Goodwood Estate, deserved. Her endeavours have led to Carrie launching a new business, Chalk & Flint, with her neighbour Ali Oakley. They source unusual and vintage home finds from both the UK and abroad. Over the past seven years, the Brixeys have worked tirelessly, thoughtfully injecting every inch of, what was once a dated cottage, with their impeccable taste and style. They’ve created a home that exudes a magical air that’s almost palpable, particularly during the festive season. On Christmas Eve, after a carol service at nearby Boxgrove Priory, the couple return home to enjoy a glass of mulled wine and mince pies while waiting for David’s youngest son and his family to arrive. ‘Having opened our stockings on Christmas morning, we all head downstairs for a leisurely breakfast and, when David’s eldest son and his family turn up, it’s time for champagne, canapés and a spot of present opening,’ Carrie says. While the turkey is cooking, the family work up a hearty appetite by going for a bracing walk, often to the iconic West Sussex landmark, Halnaker Windmill, with its panoramic views of the county.